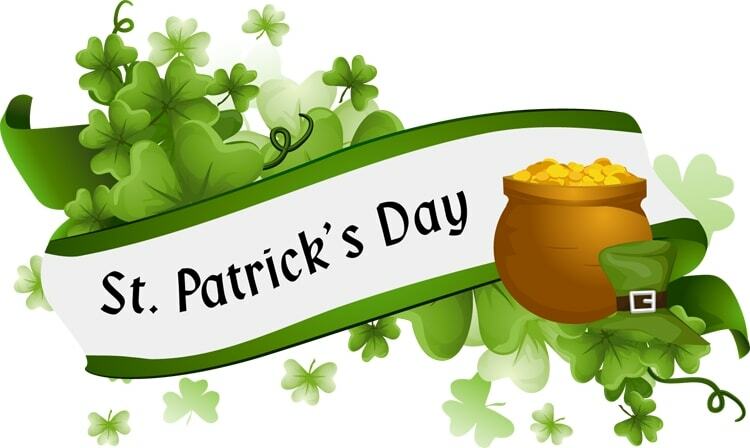 Saint Patrick’s Day is celebrated each year on March 17th. In Ireland, St Patrick’s Day is both a holy day and a national holiday. Saint Patrick is a patron saint of Ireland as he was the one who brought Christianity to the Irish. According to the legend, St Patrick used a shamrock to explain about God. The shamrock, which looks like a clover, has three leaves on each stem. Saint Patrick told the people that the shamrock was like the idea of the trinity, that in the one God there are three divine beings: the Father, the Son and the Holy Spirit. The shamrock was sacred to the druids, so St Patrick’s use of it in explaining the trinity was very wise. Although it began in Ireland, St Patrick’s Day is celebrated in countries around the world. People with Irish heritage remind themselves of the beautiful green countryside of Ireland by wearing green and taking part in the festivities. St Patrick’s Day is usually celebrated with a parade. The one in Dublin, Ireland is known to some as the Irish Mardi Gras. But the one in New York city is actually one of the biggest. It last for hours. Two Irish wolfhounds, the mascots of the New York National Guard Infantry regiment, always lead the parade. More than one hundred bands and a hundred thousand marchers follow the wolfhounds in the parade. Another tale about Patrick is that he drove the snakes from Ireland. Different versions of the story, tell of him standing upon a hill, using a wooden staff to drive the serpents into the sea, banishing them forever from Ireland. One version says that an old serpent resisted banishment, but that Patrick outwitted it. Patrick made a box and invited the snake to enter. The snake insisted it was too small and the two argued. Finally to prove his point, the snake entered the box to show how tight the fit was. Patrick slammed the lid closed and threw the box into the sea. Although it’s true that Ireland has no snakes, this likely had more to do with the fact that Ireland is an island and being separated from the rest of the continent the snakes couldn’t get there. The stories of Saint Patrick and the snakes are likely a metaphor for his bringing Christianity to Ireland and driving out the pagan religions (Serpents were a common symbol in many of these religions). Sharing these fun stories with your children most always leaves them wonder. What Are The Benefits Of Day Care Centers?